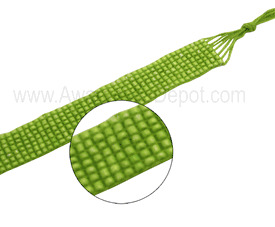 These Green Liver Cancer Beaded Bracelet are handmade and are made of 350 tiny woven shiny beads. They are currently a fashion trend for youths. An alternative way to show your support for Liver Cancer. Make sure to check out all our Liver Cancer Products! All orders are shipped out same business day if ordered before 3pm EST. There is a $10.00 minimum purchase per order. We ship fast! All orders arrive within a week, excluding custom orders and international orders.